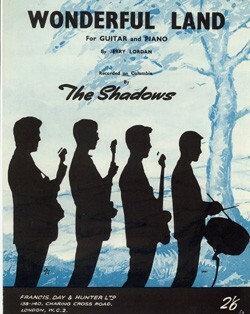 The Shadows’ best-selling single ever, with Norrie Paramor’s deft orchestral touches making all the difference. This was an unexpected (if barely noticed at the time) Ventures foray into the heart of Shadows territory. With Bob Bogle on lead guitar, it is brisker and bouncier than the original, more like a 70s Shadows stage-workout; there is increasingly obtrusive and latterly extremely noisy synthethised accompaniment. It is not especially remarkable overall. Since the number slipped out on this Japanese cassette it is hard to think that anyone in the group set particular store by this instrumental, or for that matter by ‘Dance On!’ (see ). 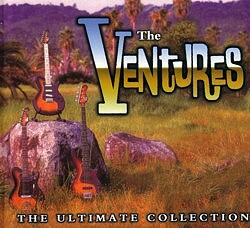 Certainly neither has resurfaced in the group’s extensive concert/re-recording programmes.